All your puzzling needs covered in on-the-go sized magazines. Handy Crosswords, Handy Code Cracker, Handy Wordhunt, Handy Arrowords and Handy Puzzles are each published every two months. That’s 30 fantastic magazines per year in this super-value bundle. The fun never ends with so many crosswords, brainteasers, wordsearch, code crackers and more! 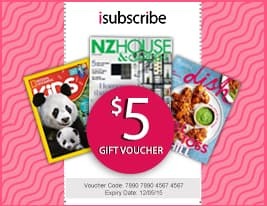 Subscribe today to enjoy FREE HOME DELIVERY and a chance to win in our cash Jackpot! 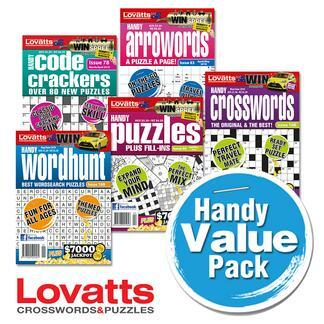 Be the first person to tell us what you think about Lovatts Handy Value Pack Bundle and you'll save $5 on your next purchase! This is published 30 times per year, please allow up to 8-11 weeks for your first delivery. Your subscription will begin with the next available issue.